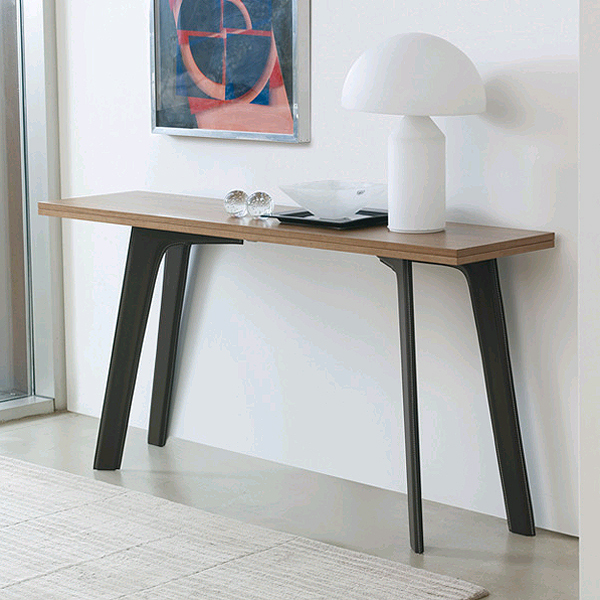 A striking modern console table that extends width-wise to create a small dining table. Wood top in a variety of wood finishes, or in lacquered colors (shiny or matt). 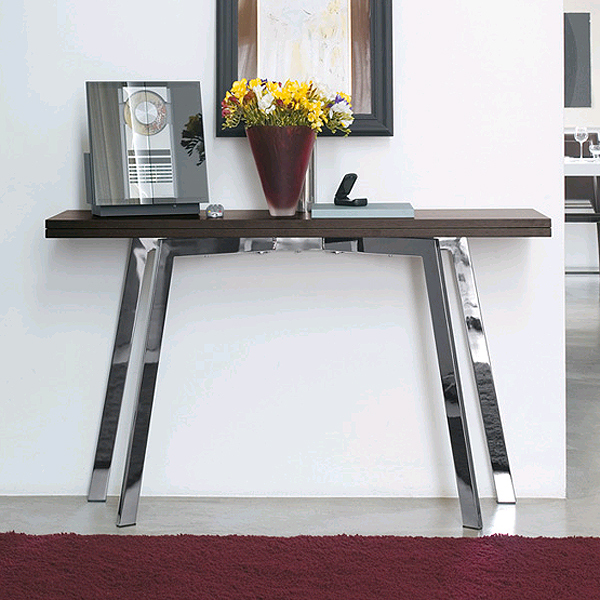 Steel legs with a chromed finish or lacquered on request. For all color options see sample cards below.